Price depends on scoop ordered. 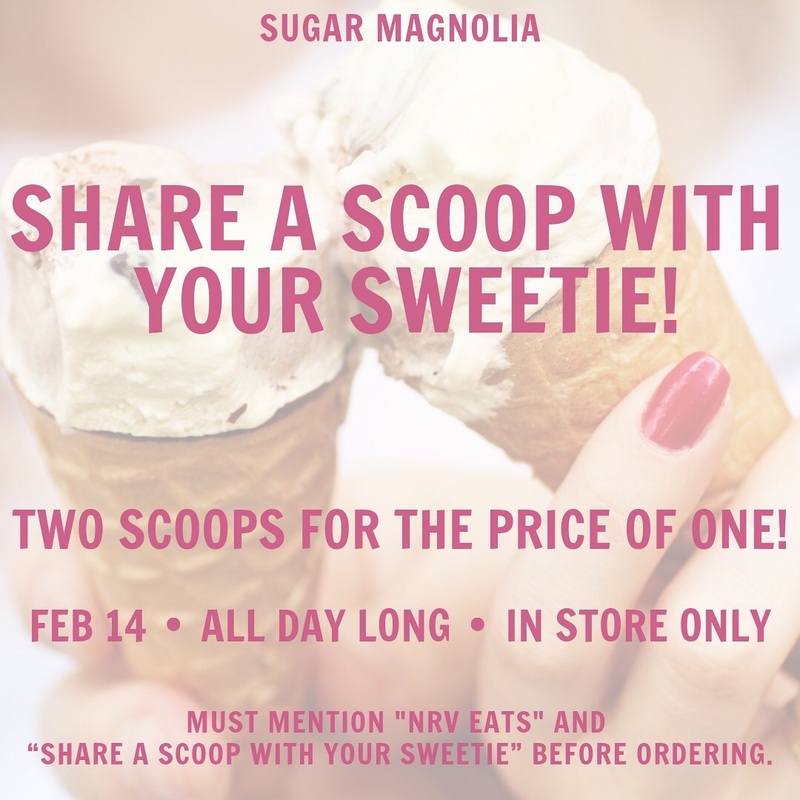 Sugar Magnolia presents a Valentine's Day Special - Two Scoops For the Price of One on Thursday, February 14, 2019. Join us and “Share A Scoop With Your Sweetie”! Enjoy two scoops for the price of one! And, yes your sweetie can be yourself! Customers must mention "NRV Eats" and "Share A Scoop" before ordering. The special is for in store purchases only. To view the event flyer, visit: https://i.imgur.com/wmeDe0g.jpg. For more information, visit: http://www.sugarmagnoliaburg.com/ or https://www.facebook.com/sugarmagnoliaburg or call 540-739-3724.